The UBC Thunderbirds erased a seven-point deficit, battling back to get past the Lethbridge Pronghorns 19-12 in the Alberta Rugby 7s tournament, Sunday afternoon at the Dome at Foote Field. Lethbridge led 12-5 after the first half, before UBC scored two converted tries in the second, including a score from Delaney Aikens in the final minute. "It was a great win for us. Lethbridge had played great all weekend. They play with a lot of speed, it was a fantastic game." said UBC head coach Dean Murten. "I think we looked a little bit fitter towards the end. These teams are so close, there isn't much that separates us." UBC cruised past Calgary 35-5 early on Sunday in their semifinal, while Lethbridge needed a heroic last-second convert to advance past Victoria 14-12 in the second semi. "We had a bad year last year, going through a bit of a transition. So to get this first tournament win under our belt is huge." continued Murten. "This will really boost the energy of the girls. They know it's been worthwhile." Victoria defeated Calgary 19-14 in the bronze medal match, scoring two tries in the final five minutes. The host Alberta Pandas won both of their games on Sunday, including a 29-7 win over UFV to finish fifth for a second-consecutive season. The Regina Cougars earned their first win of the tournament in the seventh-place match, knocking off Thompson Rivers 51-0. The Canada West Rugby 7s Series will now head to Abbotsford, B.C. February 2nd and 3rd, as the Fraser Valley Cascades host the second of three tournaments this season. 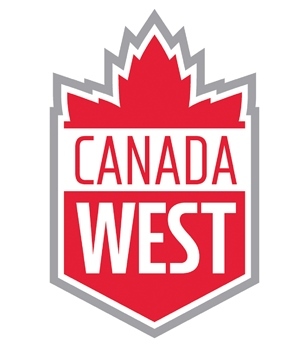 2019 marks the third season of the Canada West Women's Rugby Sevens Series, which has been made possible thanks to Canada West's partnership with B2ten and Rugby Canada. Through their joint support, B2ten and Rugby Canada are committed to helping Canadian female athletes pursue their athletic careers, including an opportunity to progress to the national team. The Canada West Women's Rugby Sevens Series champion will be crowned February 25 at the University of Victoria, as determined by cumulative series points. 2019 Canada West Women's Rugby Sevens Series tournament dates: University of Alberta (Jan. 19/20), University of the Fraser Valley (Feb. 2/3) and the University of British Columbia (March 2/3).